The Histamine kit is a highly specific assay for quantifying an allergic response in whole blood and cell-based conditions. Histamine (1H-imidazole 4-ethaneamine) is a biogenic amine known to play a key role in immediate hypersensitivity and inflammation reactions, as well as in several atopic diseases. As part of an immune response to foreign pathogens, histamine is produced by basophils and by mast cells found in nearby connective tissues. Bacterial decarboxylation of the amino acid histidine in fresh fish produces histamine, which can be used as a health hazard biomarker indicative of bacterial contamination. 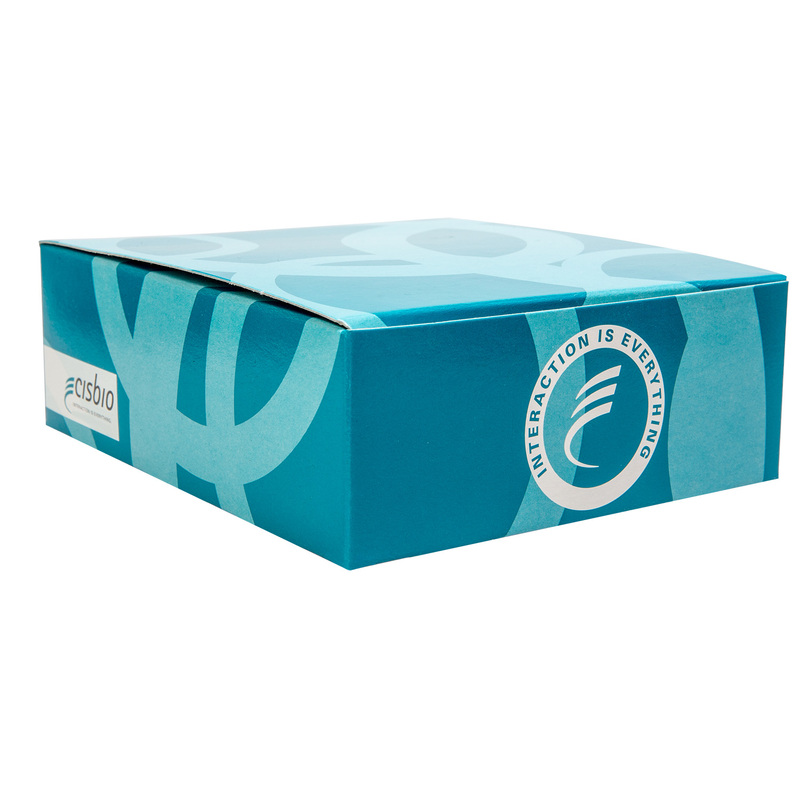 The histamine kit accurately measures histamine from PBMCs and cell-based formats. The kit is based on a competitive format involving a specific antibody labelled with Cryptate (donor) and histamine coupled to d2 (acceptor). Histamine produced by cells competes with d2-labelled histamine for binding to monoclonal anti-histamine Eu Cryptate. - Histamine detection using HTRF reagents. This protocol requires a single, three-hour incubation period following the acylation step. Four independent blood samples (Donor A to D) were used to measure the spontaneous release of histamine, as well as upon stimulation with 5 allergen mixes including 6 grass mix, house dust mite, cat epithelium, inhalant mix and common ragweed allergen. Rat basophils (RBL-2H3) were cultured in the presence or absence of 2.5 µM ionomycin to stimulate histamine release. Total histamine content was determined by lysing cells and spontaneous release was evaluated by incubating the cells in medium only. Histamine detection was performed following 30 minute cell stimulation at 37 ºC using the standard HTRF histamine assay protocol. Similar studies were performed using human peripheral blood basophils from two individual donors. Non-specific release of histamine using Ionomycin was compared to specific degranulation induced by cross-linking a membrane-bound IgE receptor with anti-IgE. Histamine detection was performed using the standard HTRF histamine assay protocol following 30 minutes of stimulation of peripheral blood basophils at 37ºC. Error bars represent a standard deviation of 3 replicates.